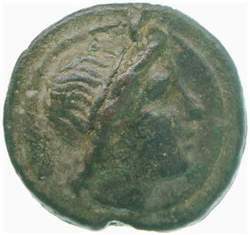 Type: Head of Apollo, right, with hair tied back with band. 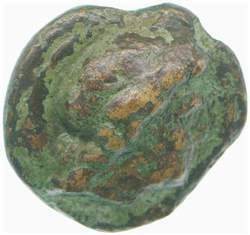 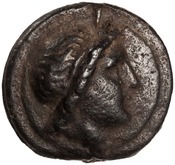 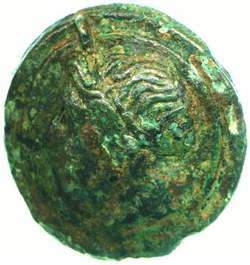 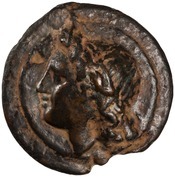 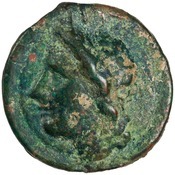 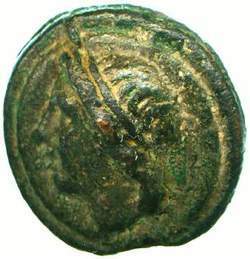 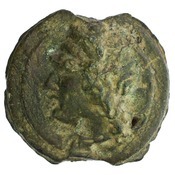 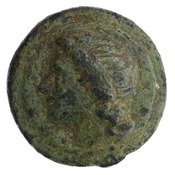 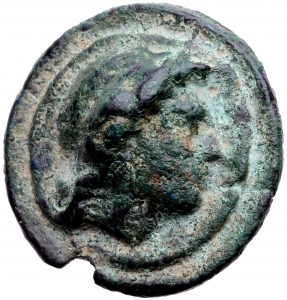 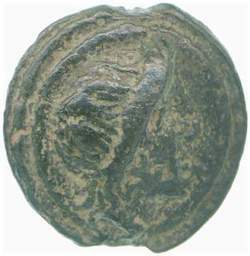 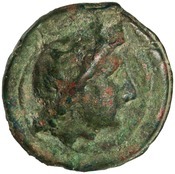 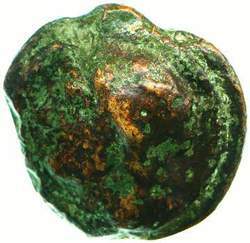 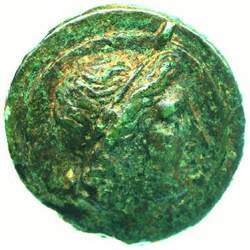 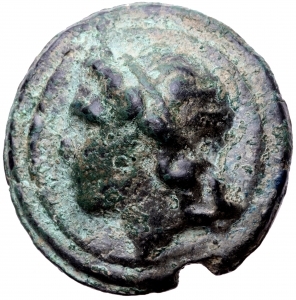 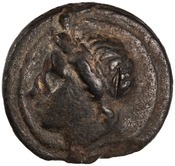 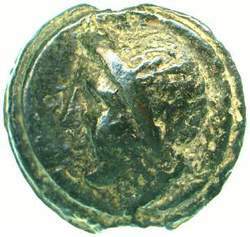 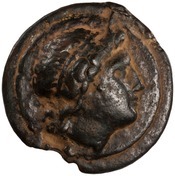 Type: Head of Apollo, left, with hair tied back with band. 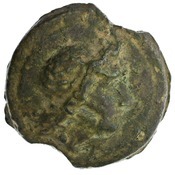 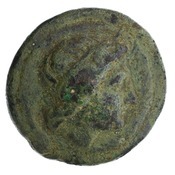 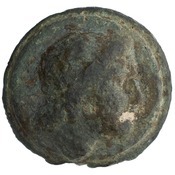 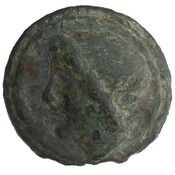 Römische Republik: Aes grave, schwere Apollo-Serie, 275-270 v. Chr.